Adolescent Anterior Knee Pain specialist – Dr. Keiser of Omaha, Nebraska treats adolescent knee pain. Chronic pain in the front and center of the knee (anterior knee pain) is common among active, healthy young people, especially girls. It is usually not caused by any particular abnormality in the knee and does not mean that the knee will be damaged by continuing to do activities. 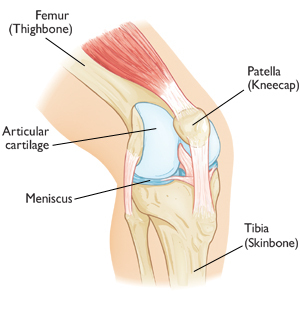 Pain located in the upper shinbone area below the kneecap is a different problem, and information about this can be found at Osgood-Schlatter Disease (Knee Pain). In many cases, the true cause of anterior knee pain may not be clear. The complex anatomy of the knee joint that allows it to bend while supporting heavy loads is extremely sensitive to small problems in alignment, activity, training, and overuse. 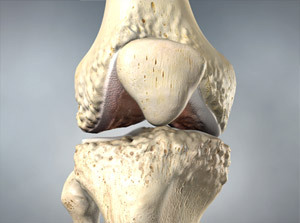 Pressure may pull the kneecap sideways in its groove, causing pain behind the kneecap. In teenagers, a number of factors may be involved. > Popping or crackling sounds in the knee when you climb stairs or stand up and walk after prolonged sitting. > Pain during activities that repeatedly bend the knee (i.e., jumping, squatting, running, and other exercise, especially involving weight-lifting). > Pain related to a change in activity level or intensity, playing surface, or equipment. Thigh muscle (quadriceps) weakness may develop if the pain persists and limits your normal activity. 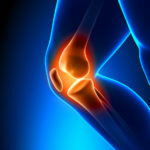 If your knee pain is lasting, see your doctor to diagnose the cause of the pain and to get treatment. The adolescent anterior knee pain syndrome is not usually associated with symptoms like clicking, locking, snapping, or giving way of the knee. These symptoms suggest a mechanical problem in the knee and are reasons to see your doctor. A standard knee examination will help your doctor determine the cause of pain behind your kneecap and rule out other problems. He or she may ask you to stand, walk, jump, squat, sit, and lie down. It is important to relax as best you can during the examination! X-rays provide images of dense structures, like bone. Both of your legs may be x-rayed. 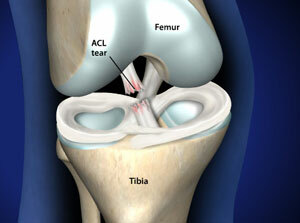 Special x-ray views will help your doctor determine if there are any problems in the shape or position of the kneecap. This imaging study can create better images of the soft tissues around your knee. If your symptoms include locking of the knee, or notable swelling of the knee, your doctor may need an MRI to evaluate the cartilage. If your pain is modest, but not severe enough for you to visit the doctor, then you can try the following conservative steps to help ease the discomfort. Ice, rest, and simple exercises are often helpful for teenagers with pain behind the kneecap. Non-steroidal anti-inflammatory drugs (NSAIDs), like ibuprofen, may also help particularly painful episodes. To relieve swelling and inflammation, apply ice wrapped in a towel to your sore knee a few times each day. Until the discomfort goes away, stop doing the activities that make your knee hurt. This probably means changing your training routine. You might need to learn proper exercise techniques from a trainer at school. If you are overweight, losing weight will help to reduce pressure on your knee. After the pain and swelling go down, you will probably need to exercise your knee to regain range of motion, strength, power, endurance, speed, agility, and coordination. A trainer can show you an exercise program to improve your thigh muscle flexibility and strength, or recommend cross-training activities that emphasize leg stretching (such as water aerobics or bike riding). Resume running and other sports activities gradually. Use these medications as needed for pain. Some patients may require medication three times a day for several days during the early phases of increased pain. Always take these medicines with some food in order to avoid the potential problem of stomach upset. If this medication is not helpful in obtaining relief from the discomfort, consult your doctor for a more thorough evaluation. > Wear shoes appropriate to your activities. > Warm up with stretching exercises before physical activity. > Stop or reduce any activity that used to hurt your knees. > Limit the total number of miles you run in training and competition.